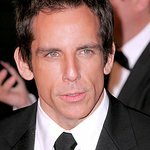 Actor Ben Stiller is currently fronting an advertising campaign for Save the Children, and has spoken about his recent trip to Uganda, in which he visited children and families who benefit from the charity’s work. The star is currently appearing in print advertisements with celebrities such as Willem Dafoe, Isabella Rossellini and Terrence Howard as part of a new campaign in association with Bulgari jewelry. Bulgari has created a special range of silver rings for the campaign, with S. Bulgari engraved on the outside and Save The Children engraved on the inside. The rings will cost $290, with $60 going to Save The Children’s Rewrite The Future campaign, aimed at helping Save the Children improve education for millions of children living in war zones and other conflict-affected areas. The ring can be ordered here. To watch a video in which Stiller talks candidly about his trip to Uganda, click here.